It’s great to see evictions from social housing continue to decline in Wales. Clearly there is a determination by most social landlords to do all they can to prevent people from becoming homeless, a real challenge in the context of austerity and the Universal Credit rollout. But even with figures at their lowest for years, at least 775 households lost their homes in 2017 through evictions from social landlords. On top of that figure there’s an unknown number of evictions taking place among tenants on licences and Assured Shorthold Tenancies. What happens to these people? Where have they gone? What circumstances are they now in? Is there more we can do? I was struck when I read the excellent, and influential Preventing Youth Homelessness: an international review of evidence published by the Wales Centre for Public Policy, by a set of very sensible ‘system prevention’ recommendations aimed at health and social care: that there should be ‘zero discharge into homelessness’, and that in the criminal justice system there should be a planned discharge, providing young people with housing options. In other words duties should not end until people are assured they have appropriate accommodation and support where necessary. It’s not surprising that these two areas were identified in the report – we all know the overwhelming evidence is that people who have left care or the criminal justice system are disproportionately represented among street homeless people. 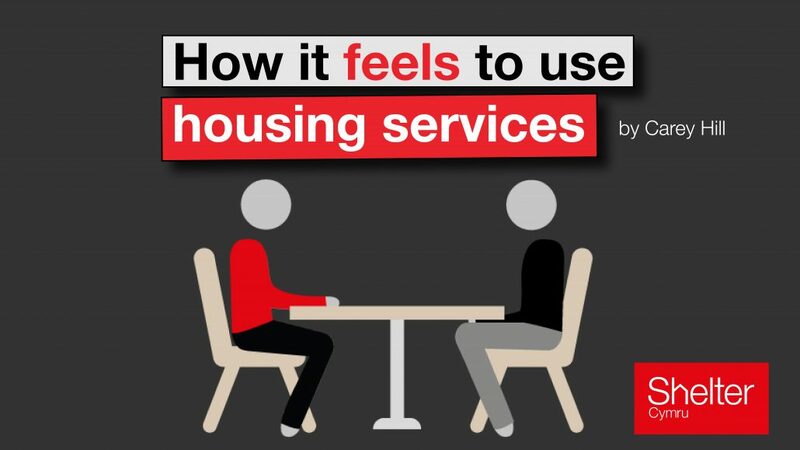 But what also struck me was that there was no similar recommendation aimed at social and supported housing. Certainly the report recognises the crucial role social housing plays in preventing homelessness, but perhaps we need to go one step further. After all, the most effective way of preventing homelessness is not to let it happen. We know that there will be occasions when a social landlord reaches a point where they feel all other avenues have been exhausted and a tenant needs to be evicted. But adopting the ‘as long as it takes’ principle, should that be the end of the relationship? Instead could we explore in Wales a collaborative approach between key services and social landlords to ensure that evictions mean a move to an alternative home, rather than homelessness? It seems to me that the benefits of this approach are enormous, both in terms of the individual or household concerned of course, but also in terms of developing a planned approach to resolving tenancy difficulties, rather than the costly and less effective crisis driven response that is usually necessary when responding to the emergency of homelessness. I’m not sure how we get to this point. Voluntary protocols? WG guidance and expectations? A law one day maybe? But if it could work for young people, why not families with dependent children? Why not eventually all tenants having difficulty maintaining their tenancies? I am sure our friends in the sector will, understandably, have a hundred questions and concerns about this idea – but let’s start the dialogue – what a prize to win and what a huge step it would be to ending homelessness in Wales. 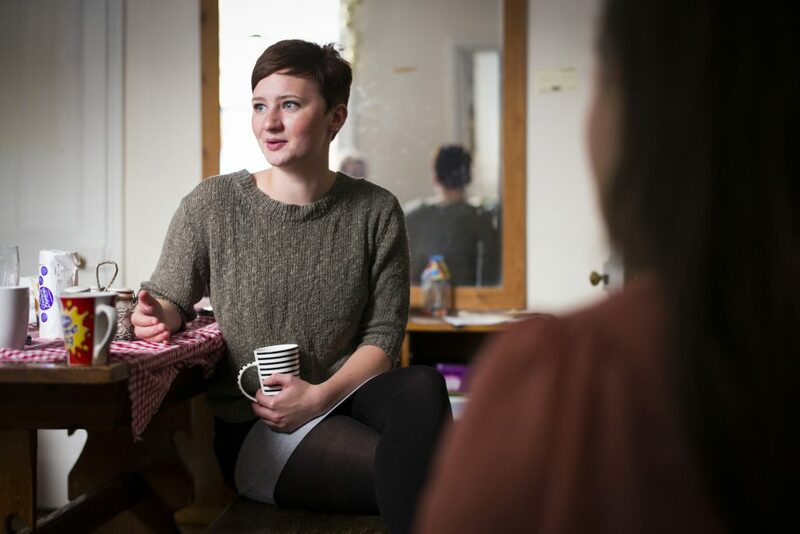 Leanne* contacted the Shelter Cymru Live helpline earlier this year because her landlord was trying to evict her and her children for rent arrears. She knew there would be some arrears due to Universal Credit, but the amount the letting agent told her she owed was incredible to her. She’d been trying really hard to keep afloat, and she just couldn’t understand why the arrears were suddenly so high. When she looked into it further, she discovered that the agent was charging her a default fee of £26.30 every single day that she was late with rent. Just let that amount sink in. It is £184 a week. It is £800 a month. A big part of the problem was that her Universal Credit was paid a week later than her rent due date. She’d tried to get both dates moved, but neither the DWP nor the letting agent would budge. Why would the agent refuse this? Well, it might be because default fees are a tidy source of income for those unscrupulous agents who are happy to exploit people in poverty. 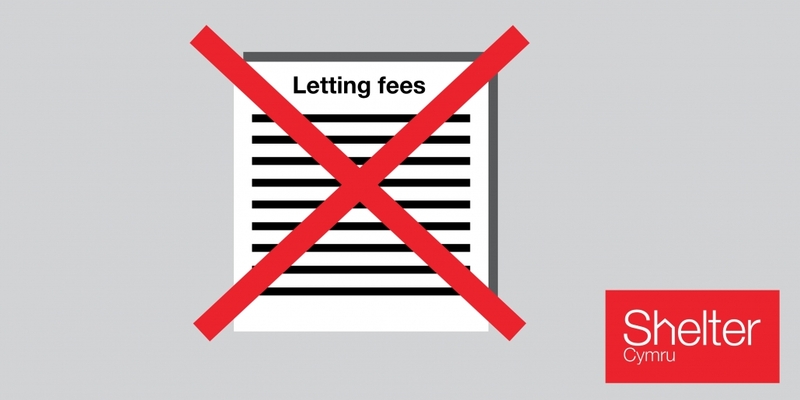 For years we have been campaigning to ask the Welsh Government to ban tenant fees. In June we were delighted to hear that our campaign supporters’ voices had been heard. The Renting Homes (Fees etc.) (Wales) Bill is currently going through the Senedd and is likely to come into force some time next year. There’s a huge amount to welcome in the Bill. Tenants will no longer have to find hundreds of pounds in upfront fees at the start of a tenancy. The security deposit will be capped, probably at six weeks’ rent. Any holding deposit will also be capped at one week’s rent, and fully refundable. It is going to make private rented housing more accessible for hundreds of thousands of people in Wales. There are, however, a number of areas of the Bill that still need improvement. And the biggest area of concern is default fees of the type charged to Leanne. Default fees are currently permitted in the Bill. A Senedd committee recommended that the Bill should be amended to require default fees to be ‘fair and reasonable’. This proposal was rejected by the Welsh Government, arguing that ‘fair and reasonable’ was a civil rather than criminal test. Instead they are proposing to issue guidance on what is and isn’t an unfair default fee. This doesn’t give enough protection to tenants like Leanne and her children. If this Bill became law as currently proposed, Leanne would need to take her agent to court to challenge the unfair fees. This is a completely unrealistic proposition. Apart from the stress and worry of court action, there is no Legal Aid available for cases like these. Leanne would have to represent herself in court, unless she could afford a private solicitor, and she’d have to find several hundred pounds of court fees upfront. The court system is so overloaded that it would take months for the case to be heard, during which time she’d be risking a revenge eviction. This wouldn’t be necessary if Leanne had been charged any of the other types of prohibited payment. She’d be able to go to the local authority or Rent Smart Wales and get a fixed penalty notice issued. Access to justice would be swift and fair. This is why we want to see default fees defined in the Bill itself or in regulations. We’re not saying that agents should never charge a late payment fee in order to recoup the expense of chasing arrears. But we do think it is vitally important to ensure that tenants are not put in the position where they are essentially unable to challenge an unfair default fee. This will create a loophole open to exploitation, and it will be tenants on low incomes who suffer most. Late payment fees cannot be charged until the rent is 14 days late. If you agree, please email your Assembly Members as soon as possible to ask them to put forward amendments to protect tenants from rip-off default fees. This week’s news highlighted the gaping loopholes in English law that allow criminal ‘rogue’ landlords to continue to operate even after being banned. Most of the coverage lumped England and Wales together – leading to much tweeting and use of the #thatsdevolved hashtag – and ignored the progress that we’ve made towards professionalising the Welsh private rented sector. While England has a criminal landlord database devoid of any landlords’ names after six months in operation, Wales has the Rent Smart Wales licensing scheme. Rent Smart Wales means that every landlord and letting agent must register, pass a fit and proper person test, and undertake basic training. If you don’t register it’s a criminal offence with hefty penalties including rent repayment orders, rent stopping orders, losing the power to evict tenants, and ultimately losing the ability to operate as a landlord or agent. It’s been encouraging to see the effort that’s gone into prosecuting unlicensed landlords: 44 successful prosecutions so far, and nearly 400 fixed penalties. Landlords have faced fines of up to £11,000 for a range of offences. And 31 licences have been refused or revoked because the landlord has failed the fit and proper person test. But does this mean that Wales doesn’t have the same problem of criminal landlords continuing to operate despite being banned? Although the vast majority of privately rented homes are now registered and known to Rent Smart Wales, there are still an estimated 10,000 homes – about five per cent of the sector – whose landlords are still to comply. 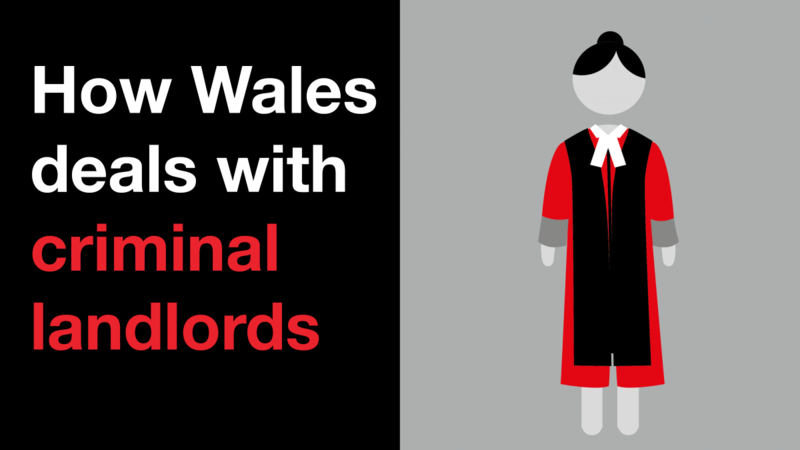 At Shelter Cymru we encounter unlicensed landlords and agents every day in our casework. This has included landlords who would be very unlikely to pass a fit and proper person test. Rent Smart Wales are actively pursuing landlords like these. Given their performance to date, and the vast range of penalties at their disposal, there shouldn’t be any doubt that Rent Smart Wales is going to eventually force persistently non-compliant landlords out of business. Let’s not forget, though, that failing to register with Rent Smart Wales is only one of many ways in which some landlords break the law. Private rented problems make up around a third of our casework. It’s a daily horror show of dangerously bad conditions, harassment, and illegal evictions – and frustratingly, people’s access to redress is nowhere near strong enough. Often we find that Environmental Health doesn’t have the capacity to get involved. And many tenants don’t feel they can push for repairs because of the risk of a no-fault ‘revenge’ eviction and the high cost of moving home. Often their only option is to look for somewhere else to live. Once they’ve moved on, it might be possible for them to sue their previous landlord for damages. Obviously this route is only available to tenants with some resources behind them and the confidence to push their case via the courts. It doesn’t happen often. Most people just cut their losses and move on. There’s hardly any enforcement on illegal evictions. The local authority says it’s a police matter, the police say it’s a local authority matter, and so the only option for tenants is to apply for an injunction to get back in the home, at least for long enough to pack up and make a planned move. Even when an injunction has been obtained, getting redress through the courts is extremely complicated and rarely happens in practice. This is why we want to see Rent Smart Wales continue to grow and develop into a comprehensive system of regulation that can bring our clients the redress they deserve. Enforcement shouldn’t just be about whether landlords and agents are licensed – it should address the whole range of bad practice that people seek our help with. As Rent Smart Wales enters its fourth year of operation it’s time to think big about the scheme’s potential to make a real difference to the lives of Wales’s half a million private renters. Street homelessness is becoming more and more visible across Wales. The media coverage is extensive and although efforts are made to speak to people sleeping rough, quite often their voices are overshadowed or drowned out by the views of the public, professionals and politicians. It is easy to be grabbed by a headline and forget that these relate to people, people like you and me, with their own opinions, stories and aspirations. All too often the focus from media and the public are on the symptoms of a growing street homeless population; issues such as begging, drug use and public intoxication are more frequently mentioned and just serve to distract from the fact that people do not have a home. This week we are publishing an important piece of research that redresses the balance and puts people who are street homeless at the centre of the discussion. In Wales we have around 345 people sleeping on our streets: over a four month period we spoke with 100 of those people…that’s just under a third of the whole rough sleeping population in Wales. Our researchers spent time going out and speaking with people on the streets, in their tents and at shelters. We’re hoping that what we heard will make you think beyond the sensationalism and try to see the people behind the stories. All of the quotes below come from the people we spoke with. Nearly everyone we spoke with felt lonely, unwell and victimised. Although we do have a range of services in Wales, people said they faced huge difficulties trying to access and work with them. Barriers included very long waiting times for substance misuse services; overly complex referral routes; requirements to produce ID and other documentation; and hostel environments that were so intimidating that some people felt they were safer sleeping outside, in freezing winter temperatures. People had a wide range of complex needs including poor mental health and illness, addictions, learning difficulties and adverse childhood experiences. We heard that the system requires effort and action that most just aren’t capable of. There are very real barriers preventing people from getting the right help at the right time. We know that there are some good services in Wales and they are trying their best to cope with increasing demand. And clearly, the system does work for some. But there are too many others who can’t make it work for them. A roof over your head is only a first step but it is such a vital one, and if we are truly trying to end homelessness it should be at the centre of what we do. That roof is not likely to be in a large hostel with other people with complex needs, or only available after you have managed to work your way through a system that doesn’t recognise your needs. We need to think differently. People told us they want their own homes, a chance to recover and rebuild their lives. People just wanted a home, but few felt hopeful of that becoming a reality. So next time you see a news story, a comment on social media or a sleeping bag in a doorway please remember the people behind them. And if you want to help in a positive way then have a look at our 7 ways you can end homelessness. This Saturday, 40,000 people will celebrate lesbian, gay, bisexual and trans equality in Wales’ biggest celebration of LGBTQ acceptance. Yet can we really say we have achieved equality, when LGBTQ people remain at much higher risk of homelessness? June 28th, 1970. Two thousand New Yorkers marched, from the Stonewall Inn on Christopher Street, to Central Park, 51 blocks away, to demand LGBTQ rights. LGBTQ identity was still criminalised, with LGBTQ people seen as dangerous and mentally incompetent. It took bravery to march through the city, holding banners and signs aloft, to demand equality. This was the first Pride. Exactly one year before, police had raided the city’s most popular LGBTQ bar, the Stonewall Inn, for what would be the last time. Despite being continually targeted by New York’s brutal police force, the Inn was a haven for America’s harassed and victimised LGBTQ community. That night they fought back, led, in part, by a young, self identified, homeless, “street queen” named Marsha P Johnson. A seasoned activist, Marsha’s gender identity and expression were ambiguous and don’t fit modern categories neatly. At 22, she had already had many of the experiences common to LGBTQ homeless youth- parental rejection, high risk of abuse, familial violence. The Stonewall Inn was one of the few places in the city for homeless LGBTQ youth, like her, to meet, exist, and be accepted. Fifty years have passed. British lesbian, gay, bisexual and trans people’s rights are beyond what the Stonewall protestors dared to demand. Marriage equality, parental and adoption rights, and strong anti-discrimination laws place the UK among the best in the world at protecting its lesbian, gay and bisexual citizens. For trans people, progress has been slower. However, as well as protection against discrimination, and the right to gender recognition (for some trans people), the new Gender Identity Clinic in Wales, for trans people who want medical care as part of their transition, is a welcome move forward. But not everyone has the same access to equality. In the shadow of this phenomenal progress exists a shocking statistic: in Britain today, 24% of youth at risk of homelessness identify as LGBTQ. A quarter of trans people have experienced homelessness at some point in their lives. This is made worse by discrimination in other parts of young LGBTQ people’s lives. Many schools remain unsafe places for LGBTQ youth. High numbers of LGBTQ people have experienced hate crime. Unsurprisingly, drug and alcohol addiction and poor mental health are higher in LGBTQ people than the rest of the population. No young person should be homeless. No young person should have to stay with an abusive family, or have nowhere to turn after being thrown out by their parents. LGBTQ youth, like all homeless people, need more than just accommodation. Homelessness is a traumatic experience. To help them move on, they need joined-up support. They need access to services that understand them, that accept them and that value them for who they are. Fifty years ago, homeless LGBTQ people were in the vanguard of the fight for equality. We owe our modern LGBTQ rights to them. 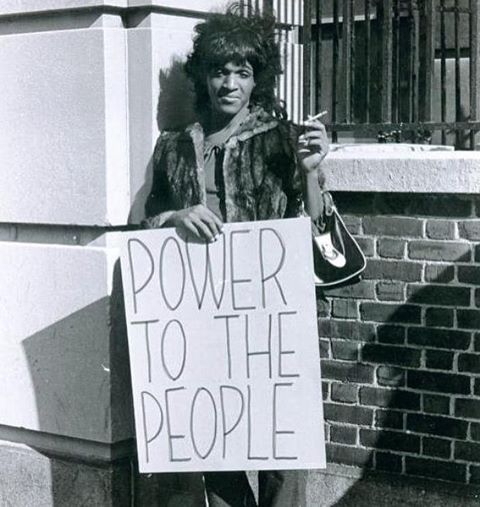 In the years after the first Pride, Marsha P Johnson, with Sylvia Riviera, continued their street activism. Still in their early twenties themselves, they set up and funded the STAR house, the first refuge for homeless LGBT youth. Yet in Wales, in 2018, homeless LGBTQ youth have few targeted services, no dedicated hostels or refuges, and few specialist workers. In comparison, England has several specialist charities, including the Albert Kennedy Trust, which provides intensive support for homeless LGBTQ youth (including a UK-wide helpline). Homeless lesbian, gay, bisexual and trans people in Wales are being let down. It is time for change. Shelter Cymru is currently looking at the experiences of trans people who have been homeless in Wales. If you are trans, have been homeless and would be willing to talk to a researcher about your experiences, please get in touch with Edith England EnglandEA@cardiff.ac.uk. You will receive a £20 gift voucher and travel expenses.